ROCKLAND, Maine — A Maine State Prison captain who was fired about two weeks after being charged with assaulting a handcuffed inmate has pleaded not guilty. The not-guilty plea on behalf of 54-year-old David J. Cutler of Appleton was filed by his attorney Philip Cohen of Waldoboro. Cutler’s court date was Monday but the filing by his attorney meant that the defendant did not have to appear in Rockland District Court. Cutler was arrested Feb. 20 and charged with assault against prisoner Renardo Williams. 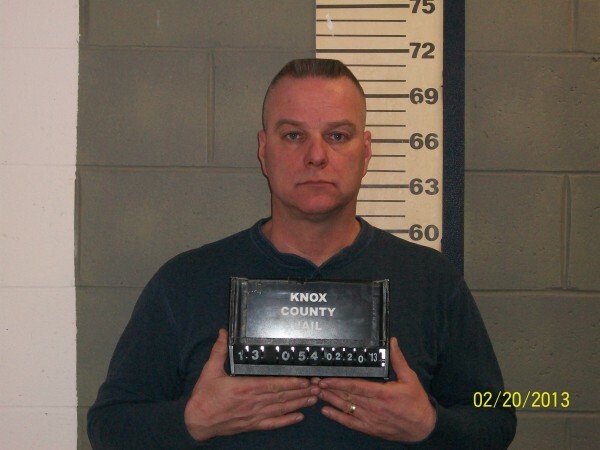 Cutler was released later that day from the Knox County Jail on $1,000 unsecured bail. He is prohibited from having any contact with the 36-year-old Williams or with two prison staff members who witnessed the alleged assault — Cpl. Michael Reynolds and Sgt. John Howlett. Cutler originally was placed on administrative leave, but then terminated on March 2, according to Scott Fish, director of special projects for the Maine Department of Corrections. According to an affidavit filed in court by the Maine Department of Corrections investigator at the time of the arrest, Cutler brought Williams to Howlett’s office on Christmas Eve, saying the inmate had been causing a disturbance at a holiday get-together in the prison gym. Cutler ordered Williams, who had his hands handcuffed behind him, to sit but Williams refused, saying it was his free will to decide whether to sit or stand, according to the affidavit. Cutler then ordered Williams to sit and when the inmate did not, Cutler pulled Williams’ legs out from under him, causing the prisoner to fall on his back, according to the lawsuit. Howlett told the prison investigator that the prisoner was not acting aggressively at the time of the incident and the sergeant could not believe what Cutler had done. Williams has another eight years to serve on a drug trafficking conviction and since has been transferred to the Maine Correctional Center in Windham.